At age two, Helen Keller became deaf and blind. She lived in a world of silence and darkness and she spent the rest of her life struggling to break through it. But with the help of teacher Annie Sullivan, Helen learned to read, write, and do many amazing things. 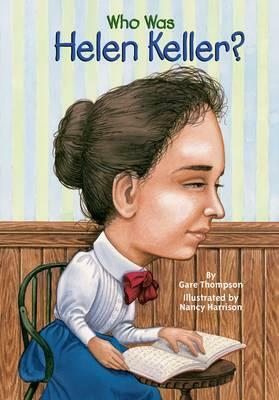 This inspiring illustrated biography is perfect for young middle grade readers. Black and white line drawings throughout, sidebars on related topics such as Louis Braille, a timeline, and a bibliography enhance readers' understanding of the subject.